Have stayed in a beautiful farmhouse, but close enough to easily get to town? 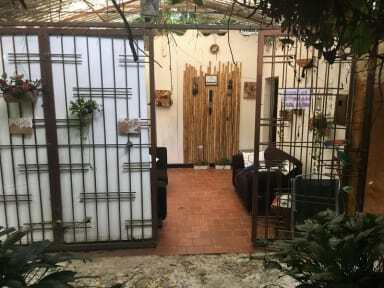 Hostal Rural Chitota is a 20-minute drive from downtown Bucaramanga. 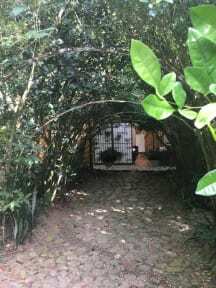 Upon reaching the farmhouse, you will enjoy many trees, clean air, swimming pool, flowing river a few meters away and quiet surroundings (except bird sounds, flowing river and a mango occasionally falls on the ground). Bucaramanga is the capital of Santander, its well known for many parks, including Parque del Agua, with waterfalls and fountains, and the palm-lined Parque García Rovira. The hostel has 3 rooms, 4 cabins and spaces for camping. Rooms are shared in single beds, and cabins with double beds. Check in from 09:00 to 21:00 .